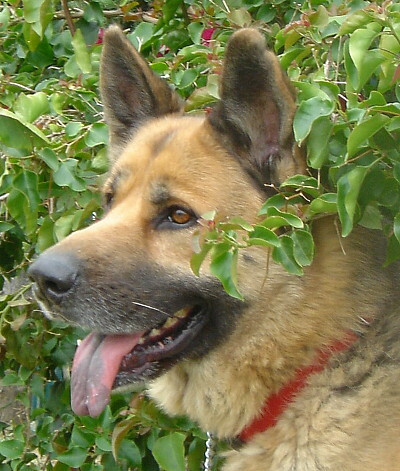 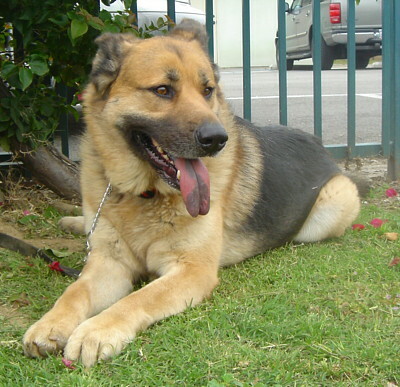 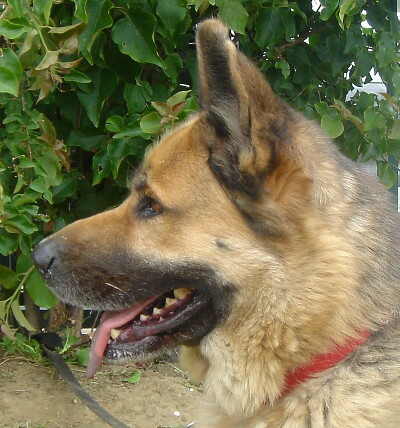 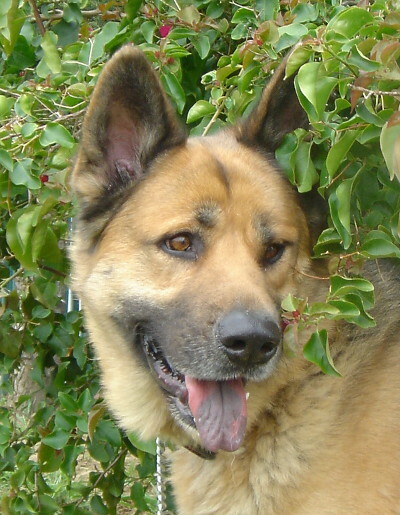 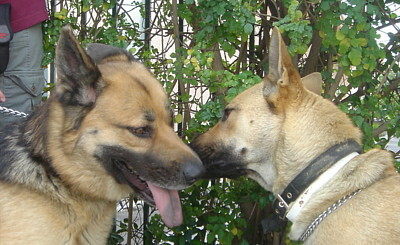 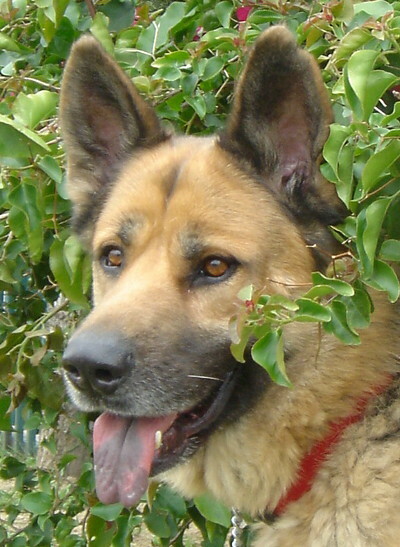 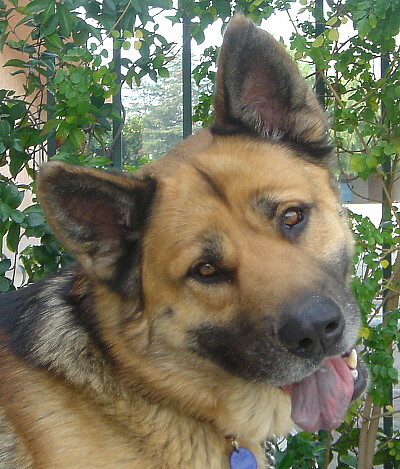 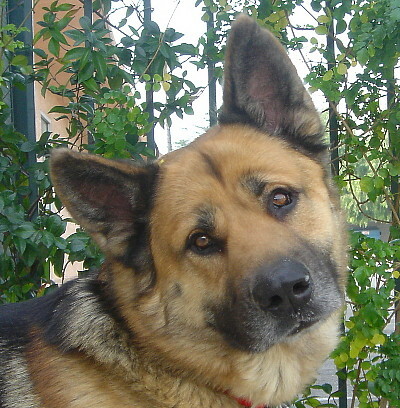 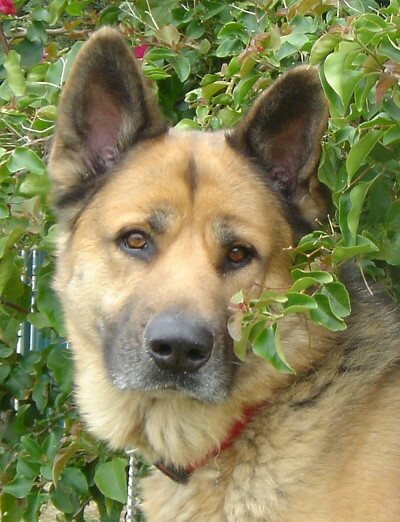 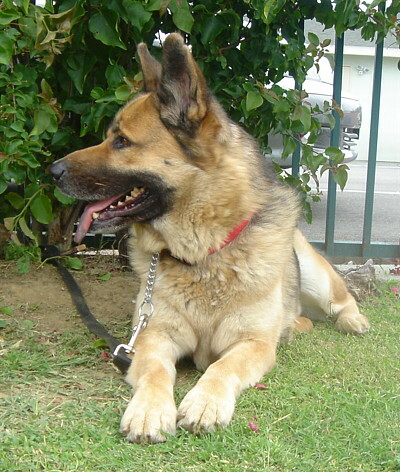 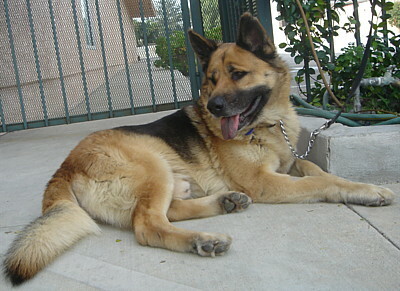 Zeth von Zermatt is a handsome 3 year old German Shepherd mixed with something a little smaller than a shepherd. 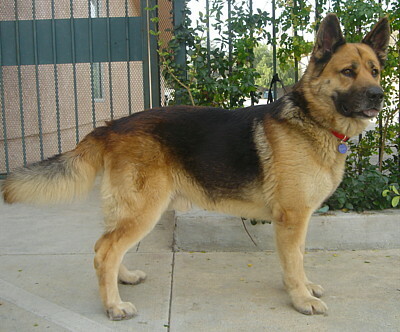 He is a big boned guy but not as tall as a pure shepherd. 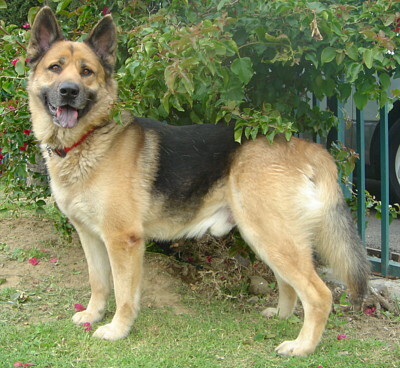 Zeth is alive because of his charm and fetching looks. 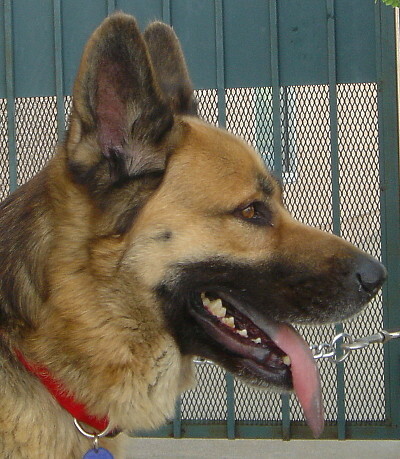 The head of a shelter saw a happy, charming Zeth being walked by her office to be euthanized and gave us a call. 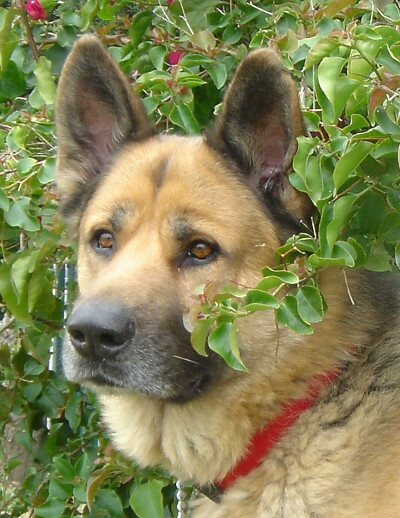 He thought he was going some place good, well it turned out he was right, he was shortly to be in the back of a volunteers SUV on his way for a double cheeseburger! 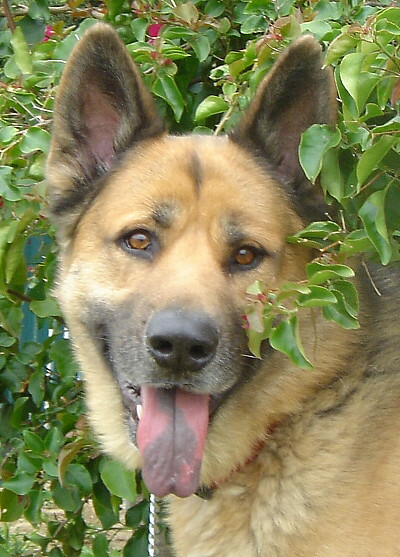 We just can’t imagine, Zeth has so much love of life and appreciation of everything, he will add so much to any family. 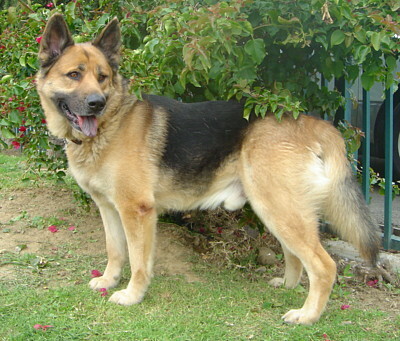 He didn’t get picked at the shelter because he has an old injury to one of his back legs. 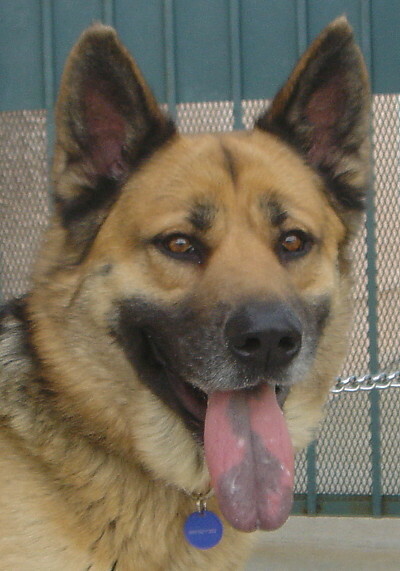 We have x-rays and had an orthopedic vet take a look, Zeth is fine and ready for hiking and his forever family.